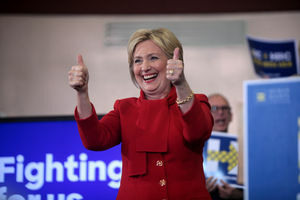 ATHENS, Ohio - Democratic presidential candidate Hillary Clinton will be at Jackie O's Tap Room Tuesday. According to Clinton's campaign website, the candidate is scheduled to speak on economic and employment issues facing Appalachia. Doors open at 12:15 p.m. with Clinton scheduled to speak starting at 1:45 p.m.
COLUMBUS, OHIO - A group of concerned citizens submitted over petition 13,500 signatures to the City of Columbus Thursday in hopes of placing a city bill of rights charter on the November ballot. The group is part of growing community rights movement across the state. 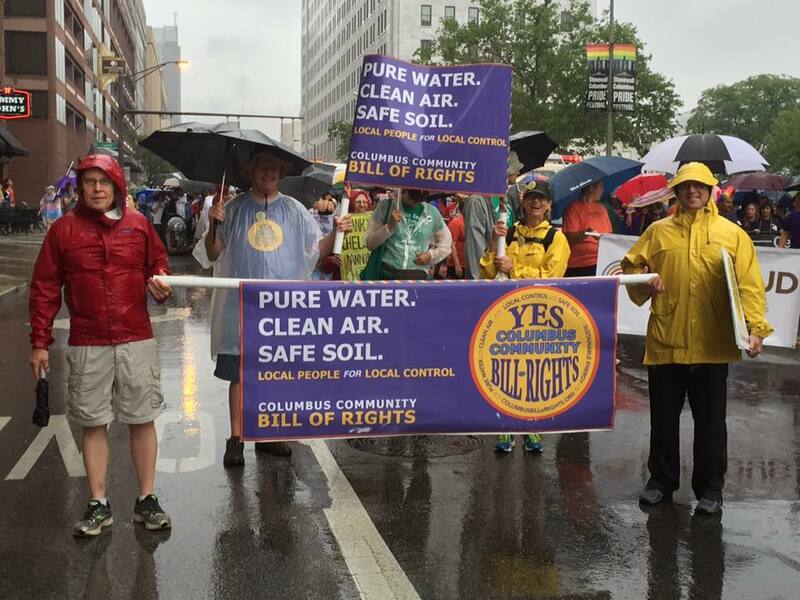 The Columbus Community Bill of Rights, CCBOR, follows similar initiatives that have successfully passed in Mansfield, and Broadview Heights. Currently, four Ohio counties, Medina, Fulton, Athens and Meigs, and the city of Youngstown, are working toward towards placing similar charter amendment on the November 2015 ballot. A similar bill of rights passed overwhelmingly in the city of Athens in 2014. In a media release, CCBOR organizers said the bill of rights is needed to ensure community’s right to preserve clean air, water, and soil, and assert their right to local self-government. The group says Columbus residents, along with many others throughout the state, are facing environmental consequences from shale gas drilling, fracking wastewater disposal and liquid natural gas (LNG) pipelines. Community Environmental Legal Defense Fund Ohio, CELDF, community organizer Tish O’Dell said most of these residents attempted to work within the current system of laws and regulations, and quickly realized no one was looking out for their communities. “It is clear to each community group that it is the people of the community, who are directly affected by the permitted harms, who must fight for their rights and the community’s future. We are at the beginning of a new movement, the Community Rights Movement,” O’Dell said. Karyn Deibel, a Columbus resident and petitioner said the effort is about the future. “I’m doing this for my grandchildren,” Deibel said. RADCLIFF - The Vinton County Sheriff's Office received a report on April 19, of an assault being committed at a trailer belonging to Richard E. Camp on Radcliff Street in Radcliff. According to a sheriff's media release, a female alleged that Camp assaulted her. The alleged victim was transported by Vinton County Emergency Medical Service. Deputies received information that Camp fled the residence and may have had a gun. While executing a search warrant for the residence, deputies found Camp inside the residence talking on a cell phone. After several minutes, Camp came outside and was taken into custody without incident. Camp was taken to the South Eastern Regional Jail on Agg menacing and assault charges. Camp also had several warrants from Gallia, Athens, and Vinton Counties. About 25 families in eastern Ohio have been unable to live in their houses for the past three days because of a natural-gas leak at a fracking well that crews cannot stop. 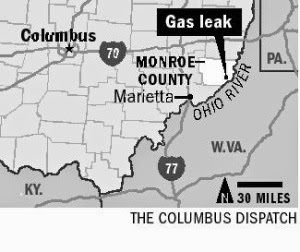 Bethany McCorkle, a spokeswoman for the Ohio Department of Natural Resources, the state agency that regulates oil and gas, said crews lost control of the Monroe County well on Saturday. WASHINGTON, D.C. - Department of Veterans Affairs (VA) announced Monday that Sharon Helman, the director of the Phoenix VA Healthcare System, was terminated from federal service. In a media release the VA said the decision followed an investigation by the VA Office of Inspector General in which allegations of lack of oversight and other misconduct were substantiated. This removal action underscores VA’s commitment to hold leaders accountable and ensure that veterans have access to quality and timely care. “Lack of oversight and misconduct by VA leaders runs counter to our mission of serving Veterans, and VA will not tolerate it,” said Secretary Robert A. McDonald. “We depend on VA employees and leaders to put the needs of Veterans first and honor VA’s core values of integrity, commitment, advocacy, respect and excellence." The VA will name a new director in Phoenix as quickly as possible. To ensure continuity of care for Veterans and leadership for VA employees during the recruitment period, Glenn Grippen has been designated interim Phoenix VA Healthcare System director.